This book is a praise of failure and refusal. It goes against the paradigm to think positive and to present adequate and speaks about doubt, insecurity and weakness. 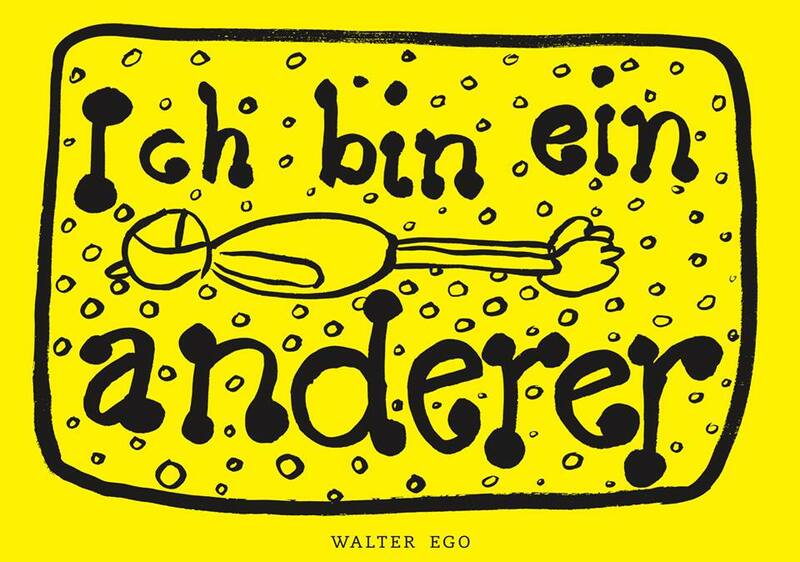 In between of constant refusal but still not being able to realize oneself, we can meet Walter Ego. While taking a look into the abyss of his emotional state, he shares his drawings and notes that have come up during this process of radical self inquiry. His story does not have a thread running through it connecting all its parts. His story has gaps and blank spaces to be filled again with new questions instead of answers. In that sense this book can be read as a palimpsest again and again, while retelling his permanent search for a way out without having a clear destination. This can go on forever until it all falls apart into fragments of the anti-hero who tries to withdraw and is never able to arrive. In the end it deals with his overall strive toward the ability to love and to wish. His struggle is carried by a melancholic undertone, at some times subtle at others humorous, always intertwining with poetic and philosophical moments, shaped by a tireless longing for a resistive way of life beyond its instrumentality.